When the Chargers needed to step up and play their best – it was simply too late. 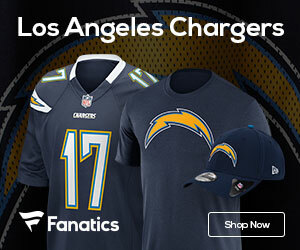 The Bolts final playoff push fell short for the second year in a row on Saturday, as they ran into a roar in the Motor City, a 38-10 beating by the Lions that will signal another season with the playoffs, and possible a change in who is on the sidelines after next weeks meaningless game against Oakland. Matthew Stafford threw for 373 yards and three touchdowns, and Detroit clinched a playoff berth of its own — the team’s first since the 1999 season — and left the Chargers on the outside. San Diego (7-8) had won three straight after a six-game losing streak to keep its postseason hopes alive. Last season, San Diego missed the playoffs despite winning seven of its last nine. The Lions (10-5) have won three straight to earn an NFC wild-card spot. Following the game, coach Jim Schwartz and the players did a victory lap at Ford Field, high-fiving fans in the front row. The loss could put Chargers coach Norv Turner’s job in jeopardy. 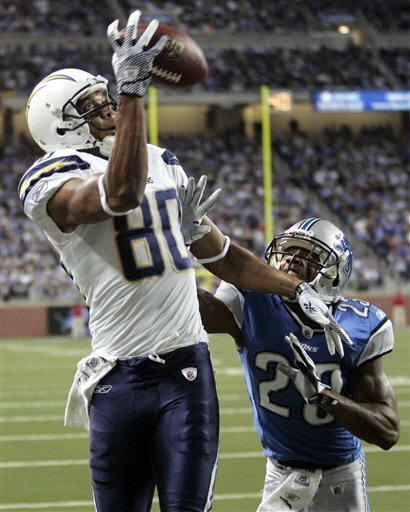 Antonio Gates, who is from Detroit, had four receptions to give him 588 in his career, breaking the Chargers’ record of 586 set by Hall of Famer Charlie Joiner. The Chargers trailed 24-0 at halftime before a short-lived rally in the third quarter. Rivers threw an 11-yard pass to Malcom Floyd, then San Diego recovered an onside kick and drove deep into Detroit territory. But the Chargers had to settle for a 22-yard field goal by Nick Novak. The Lions answered with a 6-yard touchdown run by Kevin Smith to make it 31-10 with 16 seconds left in the quarter. Early in the fourth, San Diego had the ball at the Detroit 2, but Rivers threw four straight incompletions to turn the ball over on downs. The Lions and the Buffalo Bills started the season with the NFL’s longest playoff droughts at 11 seasons. Detroit’s wait is over because a decades-long search for a franchise quarterback ended with the No. 1 overall pick in the 2009 draft. Coming off the league’s only 0-16 season, Detroit selected Stafford and kept him healthy for the first time this season. Stafford got off to a good start Saturday, lobbing a pass into double coverage to Calvin Johnson for a 46-yard gain on the first snap. Stafford was almost perfect in the first half, completing 21 of 26 passes for 260 yards with three TDs. He capped the first drive with a 7-yard scoring pass to Brandon Pettigrew, threw a 3-yarder to Kevin Smith in the second quarter and connected with Calvin Johnson from 14 yards just before halftime to give the Lions a 24-0 lead. San Diego, meanwhile, had the ball for only 9:44 in the first half. The Chargers needed to extend their winning streak to four games to remain in the playoff hunt, but the loss and Cincinnati’s victory dashed their hopes. Rivers was 28 of 53 for 299 yards with a touchdown and two interceptions, the second of which defensive end Cliff Avril snagged with his right hand and returned 4 yards to the end zone to make it 38-10 late in the game. San Diego had made the playoffs five times in six years before the last two seasons.